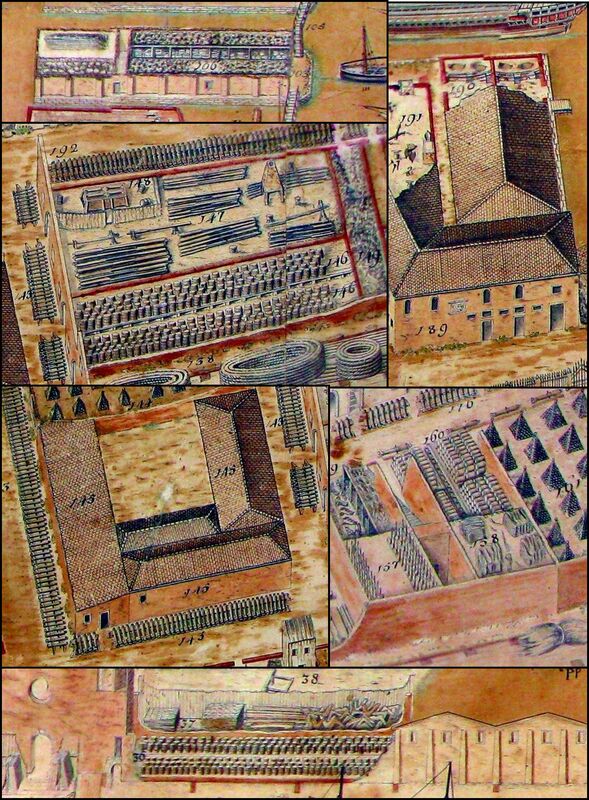 Detail of the Arsenal of Venice map from 1797, showing the pitch and tar. See Lean Material Flow in the Arsenal of Venice 1797 for the large maps, more details, and the translated legend of the map. The map is in public domain, the original is in the Museo Storico Navale. In public domain due to its age.